Thanksgiving will be here soon! 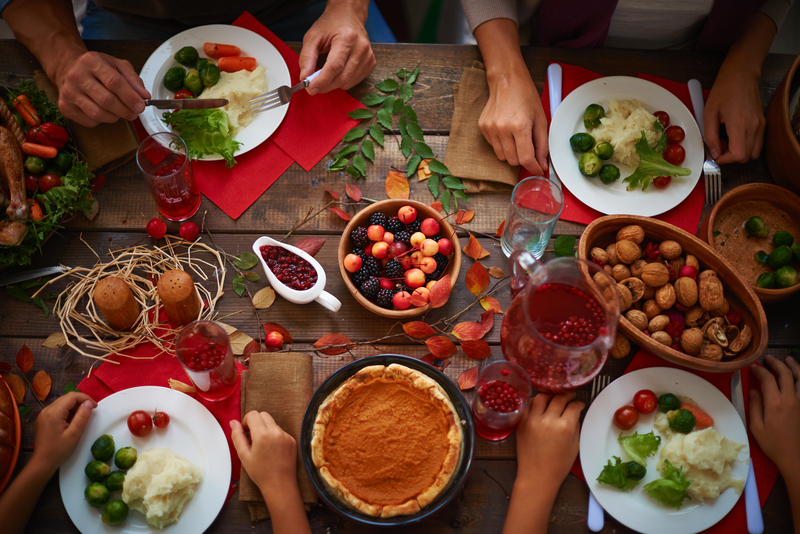 You will be busy cooking for this glorious holiday! 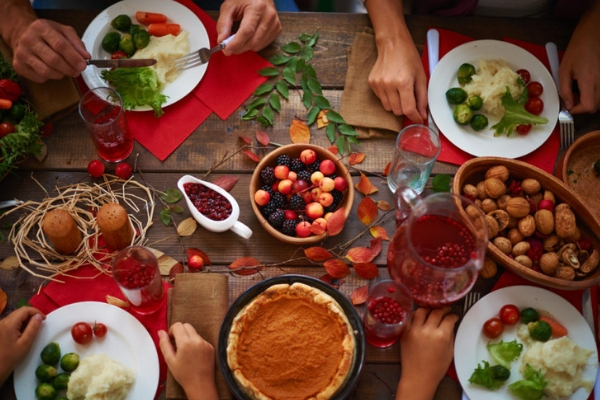 Have you stopped to consider how your dog fits into your Thanksgiving feast? 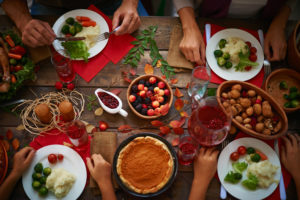 Most of us consider our dog as part of our family which could possibly entail including him in the Thanksgiving Day feast. However, you must keep in mind that your dog depends on you to be a good steward and protect him at all costs. You don’t have to exclude him from the festivities but, you must set some limitations. Keep reading for 5 ways to keep your dog safe AND happy this Thanksgiving. Exercise your dog. Wait, what? Yes, you heard me right! A tired dog is less likely to misbehave and look for mischief! If your dog is full of energy, he will be more likely to be underfoot while you are preparing for the feast and entertaining your guests. Keep Alcohol out of your dog’s reach. Your dog might not be a drinker but with all of the tempting aromas floating through the air, your dogmight be inclined to take a sip! Alcohol is completely toxic – even in small amounts! Do NOT give your dog a turkey bone! The same goes for ham bones, chicken bones and bones from prime rib. All cooked bones splinter. This could cause serious trouble for your dog’s gastrointestinal tract. A splintered bone could cause a tear or even worse a blockage. Turkey Skin is out of the question also! In fact, all fatty foods should be avoided. Even in small doses fatty foods can wreak havoc on your dog’s tummy. This can lead to serious digestive problems including but not limited to pancreatitis. You don’t want to be at the emergency veterinary clinic worried about your furry family member on Thanksgiving! Just say no to spices. Flavor enhancers can cause all kinds of problems! Seizures, death, stomach discomfort, anemia and even death. Onions, garlic, sage and nutmeg are some of the common seasonings we use during the holidays and these are some of the biggest offenders! So now you might ask “What can I feed my pet”? There is actually a lot! You can say you can say Yes to the below. But remember to mindful of additives and how it is prepared or your particular pet’s stomach requirements. 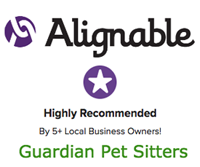 Sharon Jones, owner and founder of Guardian Pet Sitters®, established in 1992, is an avid animal lover who brings her personal experiences and the 25+ years of animal related knowledge she has obtained since she started Guardian Pet Sitters. She is passionate about pets and helping pet owners. If you enjoyed this article, you might find the following interesting as well… Pets Feel Cold Weather Too and Cats and Dogs Need Exercise.